China’s quest for influence and power is becoming evident in the Asia-Pacific region as much as it is elsewhere in the world. An assertive China is more visible in the region in the backdrop of the US revisiting its Asia strategy. It is not clear whether even a strong US presence will be able to curb China’s growing capacity to dictate regional policies and influence policy-makers in the region. The Chinese state appears to be functioning in line with the American political scientist John Mearsheimer’s contention that rising powers need to expand in order to survive, often compelling them to seek regional hegemony provoking conflict. Major Asia-Pacific countries like Australia that have for years reposed faith in the US-led liberal rules-based regional architecture are finding it tough to contain an assertive China. As a result, the region’s leadership is engaging with other Asian and extra-regional powers for mutual assurance and for maintaining regional stability. 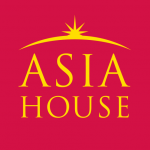 The Quadrilateral Coalition which was resurrected in 2017 by Australia, the US, India and Japan, ahead of the ASEAN summit in Manila in 2017, is the latest example indicating the concern and apprehension of regional leaders over the increasing influence of China, and their willingness to partner with other players for forging closer interactions to ensure the maintenance of a rule-based regional order. Historically, as part of the British Empire, Australia considered Asia “distant” and “mysterious” and was largely disinterested in initiating interactions with the region with the objective of preserving the “white” ethnic dream. Over time, however, Australia has not only become a prominent part of Asia but is also eager to tie its economic future to a geo-strategically significant and economically powerful continent. This urge is exemplified in Australia’s engagement with China following the latter’s rapid economic rise. Canberra’s deep and exhaustive economic engagement with Beijing has been driven by the motivation to consolidate Australia’s own economic strength and expansion. However, Australia’s economic dependence on China has now emerged as a major concern. The rich Chinese, comprising an estimated A$1.34 million net worth individuals and 568 billionaires, have been investing in Australian residential real estate at a rapid pace. This has not only led to the growth of a property bubble through spiralling of house prices but has also created anxieties among several Australians over whether they will be able to afford homes for their families. Such kinds of Chinese investment in Australia’s housing market, along with Australia’s mineral exports (especially iron ore) to fuel China’s economic growth, and which have been fetching large revenues for the Australian economy, are increasingly posing a serious challenge for the Australian government. While on one hand, the government does not want to undermine relations with its most important economic partner, at the same time it is aware of the long-term strategic consequences of its extensive economic engagement, notably the geopolitical influence of China on the country. Engaging China while being wary of its influence is a dilemma that Australian governments and leadership will have to endure in the years to come. The anxiety is gradually permeating Australian political discourse also. Four Corners, Australia’s leading Investigative journalism programme that has aired since 1961, did a story in June 2017 on a concerted campaign by the Chinese government to infiltrate the Australian political process by making huge donations to political parties and thereby attempting to push and influence policies in Chinese interests. Many in Australia hold the strategic opinion that the country can do little to oppose China’s muscle-flexing over Taiwan and Hong Kong and regular human rights violations to curb domestic dissent, given its economic dependence and the risk of stoking the dragon’s ire. 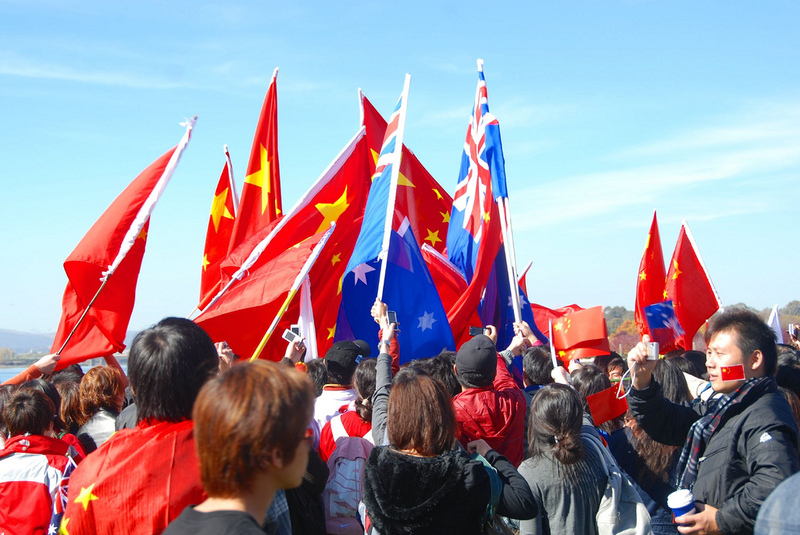 In the meantime, rising displays of Chinese nationalism in Australian universities have emerged as a major concern as well. Australian universities have been absorbing a large number of students from mainland China. Incidents of nationalist displays by student groups and the propensity of the Chinese government to use these students in propagating Chinese views and perceptions are awkward for not only university authorities, but also the political leadership. Some educators in Australian universities, seen as contradicting Chinese state posturing, have been targeted by student nationalists. The very notion of students being affiliated to the CPC and actively canvasing state propaganda on university campuses is a source of distinct discomfort for the Australian government. A striking example of the nationalist activism was by the Prestige Car Club that comprises many rich Chinese students who organised protests against India in August 2017 during the 3-month long Doklam standoff between India and China. In a show that scholars describe as ‘bizarre’, Bentleys, Lamborghinis, BMW, Audi and Maseratis decorated with Chinese flags and stickers passed through three universities, including the Sydney University, before heading to the Consulate General of India. The regional dynamics are complex in Asia and with Australia eyeing prospects of the Asian Century, it is bound to encounter a myriad of challenges. While on the one hand, it is having to tackle a powerful neighbour with which it has a close economic partnership, on the other, it is determined to partner other democracies in the region like India and Japan. Australia is keen on communicating its sincerity in preserving peace and stability in the Asia-pacific, emphasizing what Thomas Schelling would call strategic realism, i.e. what matters in foreign policy is national interest and not a moral choice. Australia’s Foreign Policy White Paper 2017 specifically employed for communicating with the overseas leaderships and decision-makers, attempts to do just this, making clear Canberra’s inclination to hedge its bets against a rising China. Doing so in practice, however, is going to be difficult. Dr Parama Sinha Palit is the author of the recently published book Analysing China’s Soft Power Strategy and Comparative Indian Initiatives. Image credit: CC by Pierre Pouliquin/Flickr.